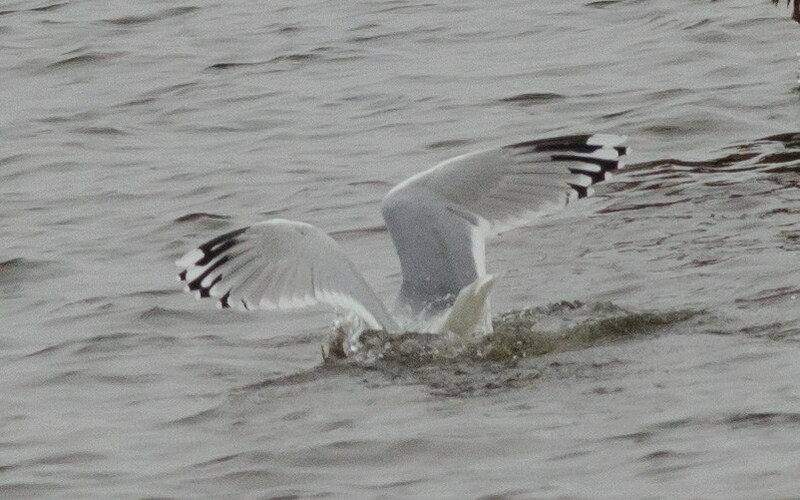 The notion of a white-winged Herring is widely known among gull-watchers in North America, but it remains an ambiguous term nonetheless. What is a white-winged Herring? 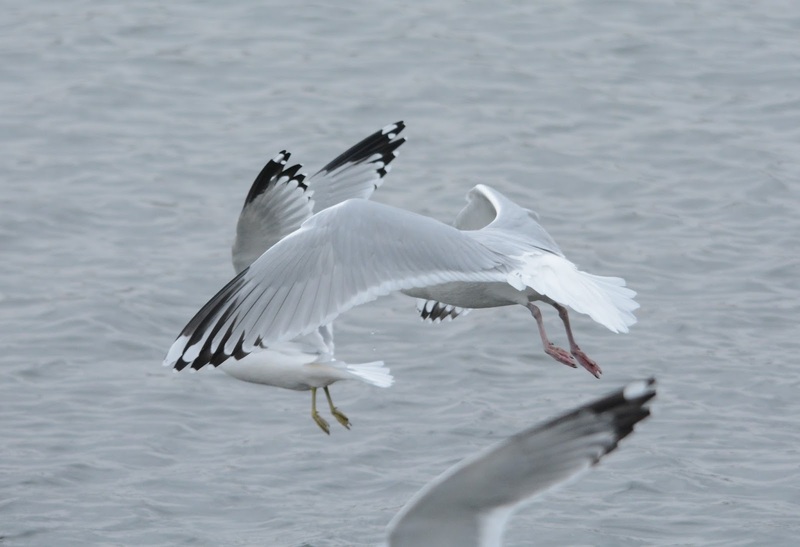 The term is used to refer to Herring Gulls with relatively reduced black in the wingtips and increased white that sometimes resembles what's known as a thayeri-pattern. 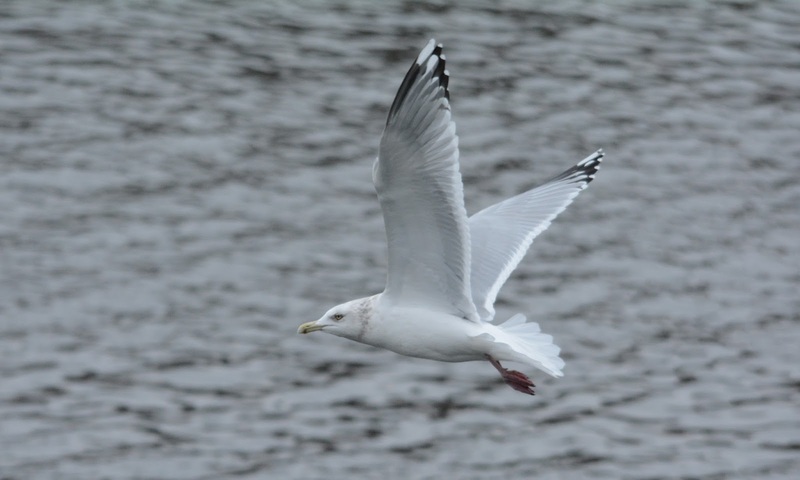 Herring Gull (adult). Chicago, IL. 21 Dec 2014. This white-winged Herring shows a large, almost all white tip to p10, a thayeri p9-pattern where the tongue merges with a large mirror, and deep gray tongues extending far into the primary. Same individual as above with Ring-billed in back. Notice that on all of the outer primaries, the black is "slatyish" and is limited mostly to the outer webs. Herrings such as this bird are most common in the eastern United States and to a lesser extent, the Great Lakes region (mostly in winter?). American Herring (adult). Pubnico, Nova Scotia. 21 Dec 2014. Photo by Alix Arthur d'Entremont. 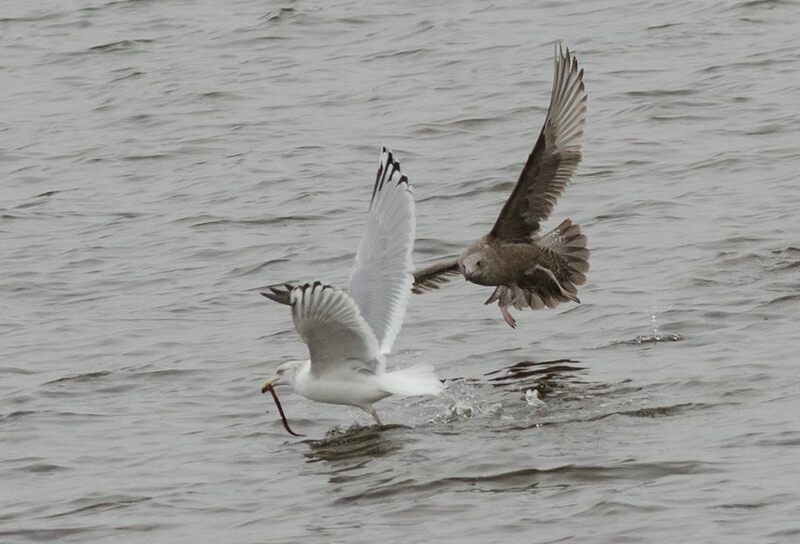 Examples similar to the individual above may prove to be recent Glaucous x Herring hybrids. From afar, there momentarily may be some confusion with Thayer's, but after seeing the wingtip, one would ordinarily inspect the head and eye and hopefully be able to pin the ID. 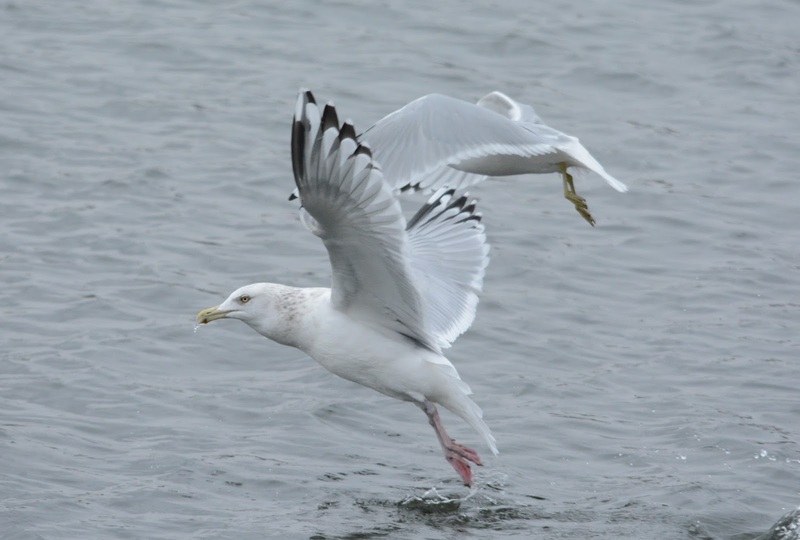 Herring Gull (adult). Chicago, IL. 21 Dec 2014.. The strong dull bill, pale eye and speckled necklace don't add up to Thayer's.